An introduction to the duck-billed platypus - one of the world's few egg-laying mammals. Find out what it looks like, where it lives, and what it eats. The duck-billed platypus is native to eastern Australia. The duck-billed platypus is a monotreme. The duck-billed platypus has a rubbery beak similar to a duck, and a tail like that of a beaver. 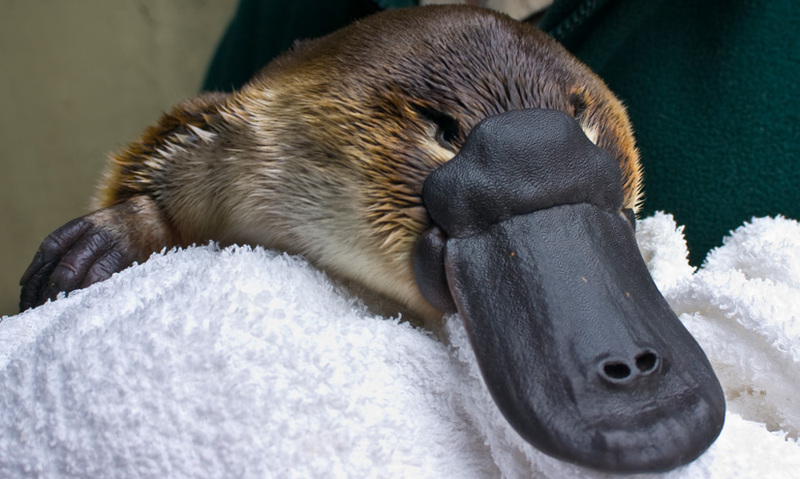 The duck-billed platypus has horny plates instead of teeth, which it uses to mash up its meals of shrimp and insects.